Carbon Fiber Cases are stronger and more durable than traditional smart phone protective cases.The carbon fiber cases from Shenzhen Esorun Technology Co. Ltd. are specially handcrafted for best quality and best fit for smart phones and other gadgets. Carbon Fiber Cases are stronger and more durable than traditional smart phone protective cases and are available from Shenzhen Esorun Technology Co. Ltd. They not only provide very strong protection for the phones, but stylish protection as well. Carbon fiber cases are a new technology for smart phone accessories, just like wireless chargers. They provide the strongest protection against falls, scratches, dust and stains while being the lightest in structure. They are only 0.6mm in thickness and weigh a featherlike 8g. This does not make them add any extra bulk to the phones especially when putting them in one’s pocket and does not add any weight to the phones, still making them very easy to carry around. The carbon fiber cases from Shenzhen Esorun Technology Co. Ltd. are specially handcrafted for best quality and best fit for smart phones and other gadgets. The carbon fiber cases have weaving patterns that create a beautiful diamond design. 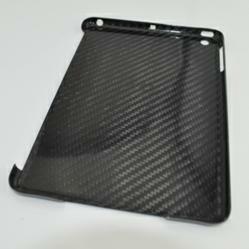 There are carbon fiber cases for iPhone 4S, iPhone 5, Samsung Galaxy S3, S4 and for iPad. Carbon fiber cases offer stronger protection compared to most traditional smart phone cases. This definitely makes them the best cases for smart phones and other gadgets. A demo video can be found on their official website. Here in the video, different kinds of protective cases for iPhone 4S and iPhone5 are being compared with the carbon fiber case s in terms of thickness, sturdiness, durability and how they work with the iPhones. About Shenzhen Esorun Technologies Co. Ltd.
Shenzhen Esorun Technologies Co. Ltd. is a top of the line technologies company that offers a wide array of iPad and iPhone accessories, and other gadget add-ons like the Qi Wireless charger, Power banks, wireless external hard drives, Bluetooth speakers and a lot more.